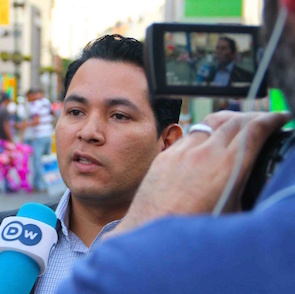 Over the last week a number of human rights defenders have reported being intimidated and followed upon returning to Venezuela from the United States. Since 20 March 2015 a number of prominent members of human rights organisations have been returning from Washington D.C. where they were attending the 154th period of sessions at the Inter-American Commission of Human Rights (IACHR), which took place from 16 to 23 March 2015. On 23 March 2015 Mr José Gregorio Guarenas, General Coordinator of the Vicaria de Derechos Humanos (Human Rights Vicariate) in Caracas, was returning into the Simón Bolivar International Airport in Maiquetía when he was followed by unidentified men who took his photograph without consent. On 22 March 2015, Ms Liliana Ortega, President of the Comité de Familiares de las Víctimas de los Sucesos de Febrero-Marzo de 1989 – COFAVIC (Committee of Family Members of the Victims of the events that occurred between February and March 1989) was followed by five unknown persons as she arrived back to Venezuela at the same airport. After going through passport control without any problems and arriving at the arrivals area at the airport, Liliana Ortega became aware that she was being followed by three unknown persons who appeared to be acting in coordination with two other individuals. Two of the men, one of whom seemed to be carrying a weapon, proceeded to follow the human rights defender from the arrivals area out to her car. As they followed her they took photographs of her in a manner that she found intimidating. Before the arrival of Liliana Ortega's flight, four of her colleagues from COFAVIC, who were waiting for her at the arrivals area, had noticed the presence of these 5 unknown persons, who appeared to be monitoring the arrival of her flight. These individuals were seen entering and exiting the restricted customs control area of the airport despite having no visible identification and never had their identification checked by the airport authorities. Other human rights defenders, who had been on the same flight as Liliana Ortega, including Mr Humberto Prado Sifontes, Director of the Observatorio Venezolano de Prisiones – OVP (Venezuelan Prisons Observatory) and Mr Rafael Uzcátegui, Coordinator of the Programa Venezolano de Educacion y Protección de los derechos humanos – PROVEA, reported being harassed in the same way upon their arrival at the airport. On 20 March 2015 Mr Jonathan Matheus of Venezuela Diversa and Ms Quiteria Franco of the Red de Lesbianas, Gays, Bisexuales, Trans e Intersexuales de Venezuela (LGBTI Network of Venezuela) returned from Washington, where they had been attending sessions on LGBTI issues at the IACHR, when they too experienced the same intimidation upon arrival at the airport. For the past two years, human rights defenders have been the subject of constant harassment and public threats by government officials in connection with their work as human rights defenders and for resorting to international systems for the protection of human rights. However, this situation of harassment allegedly escalated on 18 March 2015, when during the television program called ''Con el Mazo Dando'', directed by the President of the National Assembly, the latter revealed the names of the participants to the sessions before the Inter-American Commission of Human Rights in Washington DC, including Liliana Ortega and other prominent human rights defenders. The segment was accompanied by covert photographs of Mr Marco Antonio Ponce, Director of the Venezuelan Observatory of Social Conflicts, that had been taken at the airport of Maiquetía on the day of his departure flight. During this same program, precise information was disclosed regarding the date and time of the human rights defenders' return flights from Washington. Most recently, the President of the National Assembly published another segment in the official newspaper of the United Socialist Party of Venezuela ''Cuatro F'', which reveals the details of the travel itinerary of prominent human rights defenders, including Mr Carlos Correa, Director of Espácio Público, for the upcoming Summit of the Americas. The events described are the latest in a series of acts of intimidation and defamatory statements against human rights defenders, who, since the end of 2014, have been publicly accused of conspiracy and of attempting to destabilise the country, together with other Venezuelan human rights organisations, and the Inter-American Commission on Human Rights itself. Front Line Defenders continues to be gravely concerned at the repeated acts of intimidation and public defamatory statements against the above-mentioned human rights defenders in Venezuela, which it believes to be directly linked to their legitimate work with the Inter-American system of human rights.